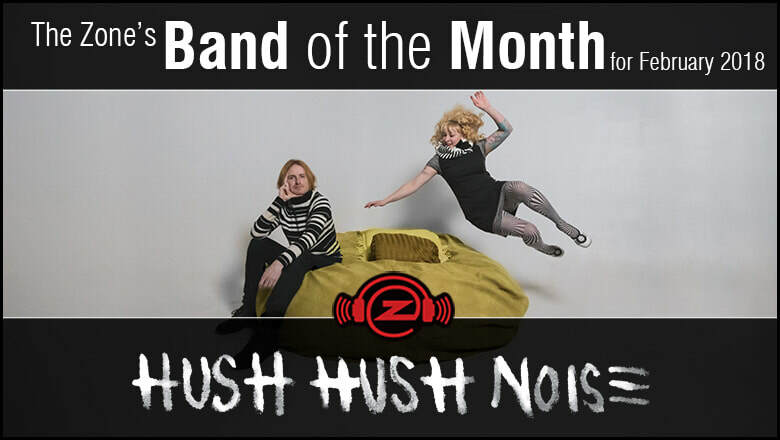 Hush Hush Noise is an experimental pop duo based in Victoria BC, who combine organic sounds with electronics to create memorable songs. Multi-instrumentalists, Lily Fawn and Eric Hogg combine their songwriting styles to carefully shape each song to its full potential while maintaining the experimental expression that comes from collaboration. Lily Fawn - Lily has an unconventional songwriting style that’s like storytelling set to music. She sings both through her voice and her musical saw, a most serene and enchanting sound. She also emboldens Hush Hush Noise’s rhythmic assault with drums of all variety. Pop Montreal says, “Lily fills the stage with charm to burn." Eric Hogg - Eric has been recording, playing guitar and writing songs since age 10. His experience making noise and electronic music has left an indelible impact on his approach to pop music. "I love how you managed to cram a full album of diverse styles and influences but still keep the sound cohesive due to the unique voices, impeccable songwriting, and production style. This was a fun and exciting listen- very rare. I'm hearing everything from The Unicorns to Skinny Puppy to more pop stuff like Metric and Mother Mother... I can see this appealing to basically everyone. It's like full on experimental but also pop-rock radio hits at the same time... and without clashing like others who've attempted that mashup." ​Pop montreal says, “Lily fills the stage with charm to burn."